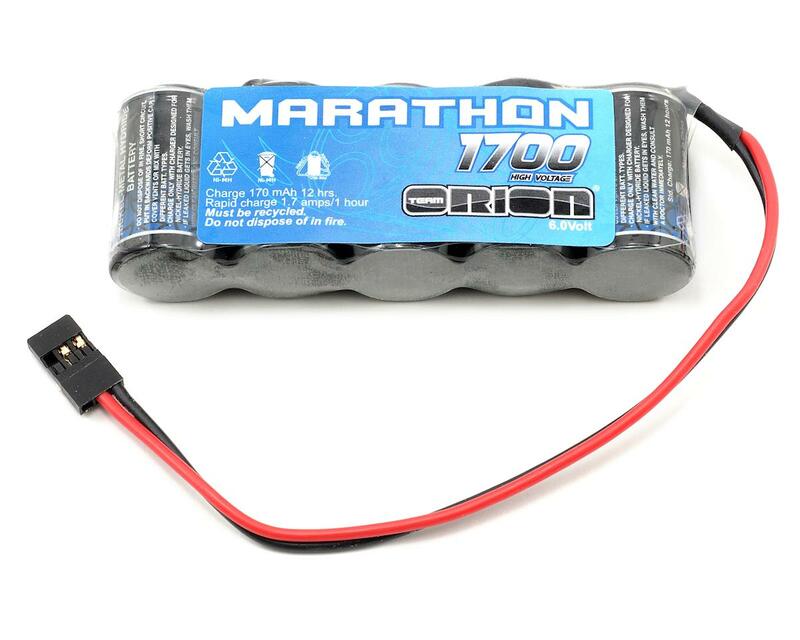 This is the Team Orion Marathon 1700mAh Stick Receiver Pack, and is intended for use in any application that requires a 6.0V stick type NiMH receiver battery pack. 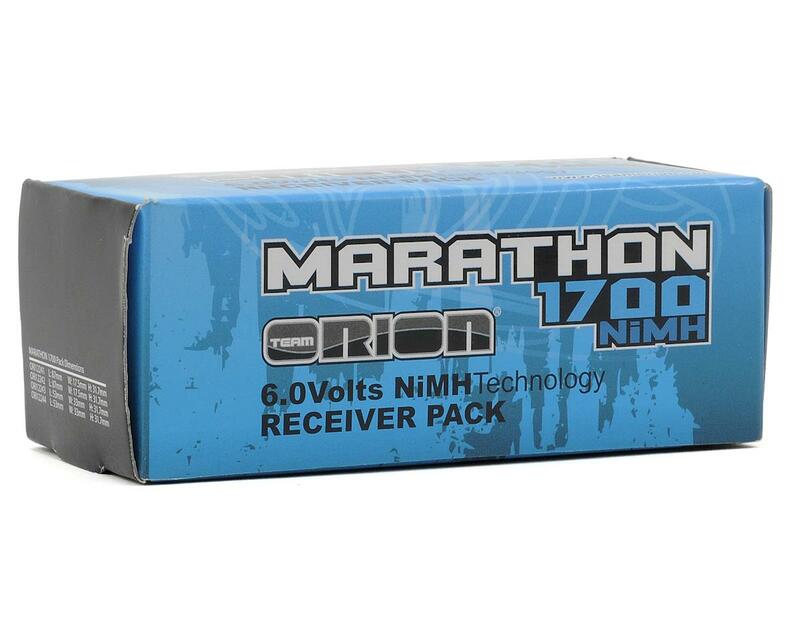 Team Orion has developed an amazing cell to create the largest capacity NiMH receiver pack available: the Marathon 1700 series. With the use of powerful digital servos, in addition to larger and heavier cars like truggys and monster trucks, high capacity receiver packs have become a must for nitro vehicles. Your Rx pack is the “fuel” for your radio components and only top-quality cells should be used to avoid loss of signal, radio glitches, etc. Maximum capacity is a key advantage in racing and only Team Orion Marathon packs combine extreme capacity with incredible reliability and performance.